There is no registration fee for the summer school. Scientists from US-based institutions will receive all course materials and meals free of charge for this NSF-funded program. International participants will incur a $600 fee to support course materials and meals. Additionally, individuals from non-R1 institutions in the United States are also eligible for housing and travel grants. 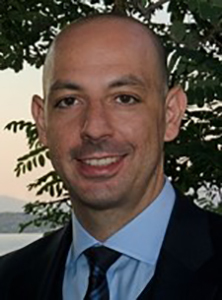 Feliciano Giustino is Full Professor of Materials at the University of Oxford, and the 2017/18 Mary Shepard B. Upson Visiting Professor in Engineering at Cornell University. He holds an M.Sc. in Nuclear Engineering from Politecnico di Torino and a Ph.D. in Physics from the Ecole Polytechnique Fédérale de Lausanne. Before joining the Department of Materials at Oxford he was a postdoc at the Physics Department of the University of California at Berkeley. He specialises in electronic structure theory and the atomic-scale design of advanced functional materials. He is author of 100+ research papers and one book on Materials Modelling using Density Functional Theory, and he is Associate Editor of Computational Materials Science. Lynne Vincent holds an M.S. and Ph.D. in Organizational Behavior from Cornell University, School of Industrial and Labor Relations. She is currently an assistant professor at the Whitman School of Management at Syracuse University. Before joining Syracuse University, she was a postdoc at the Owen Graduate School of Management at Vanderbilt University. 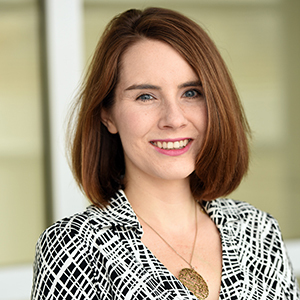 Her research focuses on the moral and social implications of creativity for individuals, groups, and organizations. She teaches undergraduate courses on management and organizational behavior at Syracuse University. Materials Modeling The goal of this Summer School is to introduce experimentalists to density-functional theory calculations and first-principles materials modelling. This course answers the basic questions: “Can DFT help me with my experimental problem? Which materials properties can be predicted and how reliable are the results? How difficult would it be to run the calculation that I need? Can I do this on my own or I better seek for help from the theory group next door?”. By the end of the school the participants will be able to perform basic DFT calculations in complete autonomy, and will have a better understanding of the current literature on atomistic modelling using DFT. The course is articulated along three parallel tracks: theory lectures, practical lectures, and hands-on sessions. In the theory lectures we will introduce the conceptual background that is needed to understand the potential and the limitations of DFT in the context of materials modelling and design. The practical lectures are meant to guide the audience through the practical steps required for performing DFT calculations. In the hands-on sessions the participants will be running DFT calculations on selected materials in complete autonomy, with the lecturer and teaching assistants supervising the sessions.Team-Based Materials Discovery A team-based, multidisciplinary approach to materials-by-design is needed to increase the pace of new materials discovery. To that end, this course will also feature sessions designed to develop the team skills necessary to enable creative and productive collaborations among theorists, film/crystal growers, and microscopists / materials characterization experts. These sessions will bring an awareness to the challenges of team-based efforts and highlight strategies for reaping the benefits of collaborative work. A continental breakfast will be provided each morning (Monday – Friday) 30 minutes prior to the first session. Work on material presented Mon. – Wed.
Amazon’s description of the book: This book is an introduction to the quantum theory of materials and first-principles computational materials modelling. 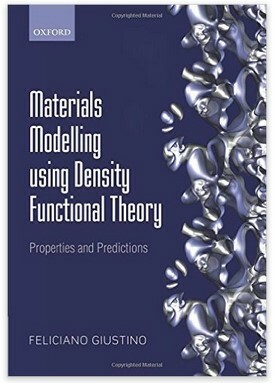 It explains how to use density functional theory as a practical tool for calculating the properties of materials without using any empirical parameters. The structural, mechanical, optical, electrical, and magnetic properties of materials are described within a single unified conceptual framework, rooted in the Schrodinger equation of quantum mechanics, and powered by density functional theory. This book is intended for senior undergraduate and first-year graduate students in materials science, physics, chemistry, and engineering who are approaching for the first time the study of materials at the atomic scale. The inspiring principle of the book is borrowed from one of the slogans of the Perl programming language, ‘Easy things should be easy and hard things should be possible’. Following this philosophy, emphasis is placed on the unifying concepts, and on the frequent use of simple heuristic arguments to build on one’s own intuition. The presentation style is somewhat cross disciplinary; an attempt is made to seamlessly combine materials science, quantum mechanics, electrodynamics, and numerical analysis, without using a compartmentalized approach. Each chapter is accompanied by an extensive set of references to the original scientific literature and by exercises where all key steps and final results are indicated in order to facilitate learning. This book can be used either as a complement to the quantum theory of materials, or as a primer in modern techniques of computational materials modelling using density functional theory.